Guess what, Snarklings? It’s time for another round of Stereotype Technology! The Lady of the Manners promises she’ll wander away from her preferred aesthetic next time, but this round’s collection of goodies were all found during bouts of insomnia-fueled window shopping. To the surprise of none of you, the Lady of the Manners is sure. 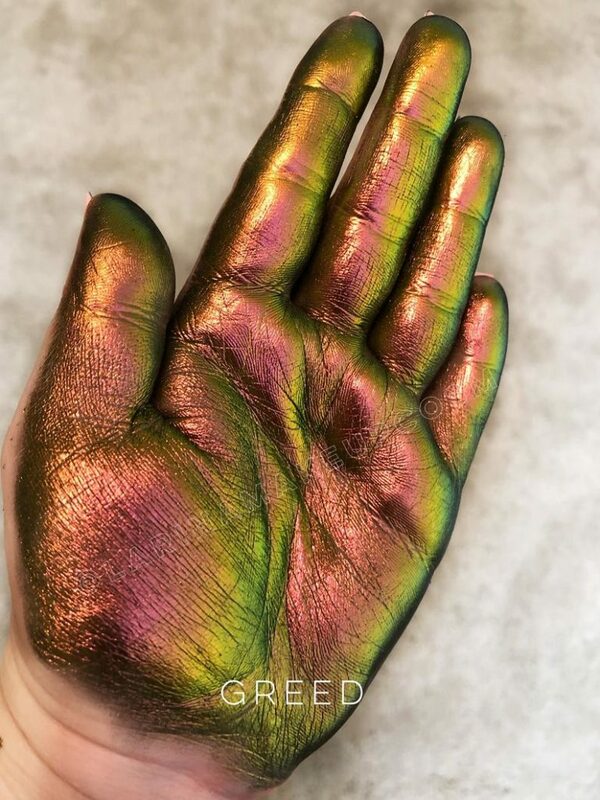 Multichrome eyeshadow in Greed, from LarinaMakeup. The Lady of the Manners has an overwhelming weakness for color-shifting eyeshadows. Does it mimic the shimmer and hues of a possibly poisonous beetle or squid? Then the Lady of the Manners probably wants to put it on her eyelids. 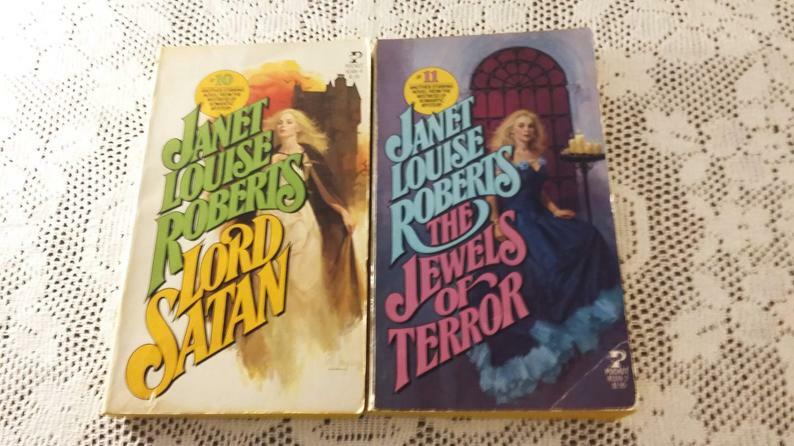 Lord Satan and The Jewels of Terror by Janet Louise Roberts, from OnceUponWilloughby. Vintage gothic romances! And while this particular edition of Lord Satan isn’t from the legendary Avon Satanic Gothic imprint, it still has delightful cover art. 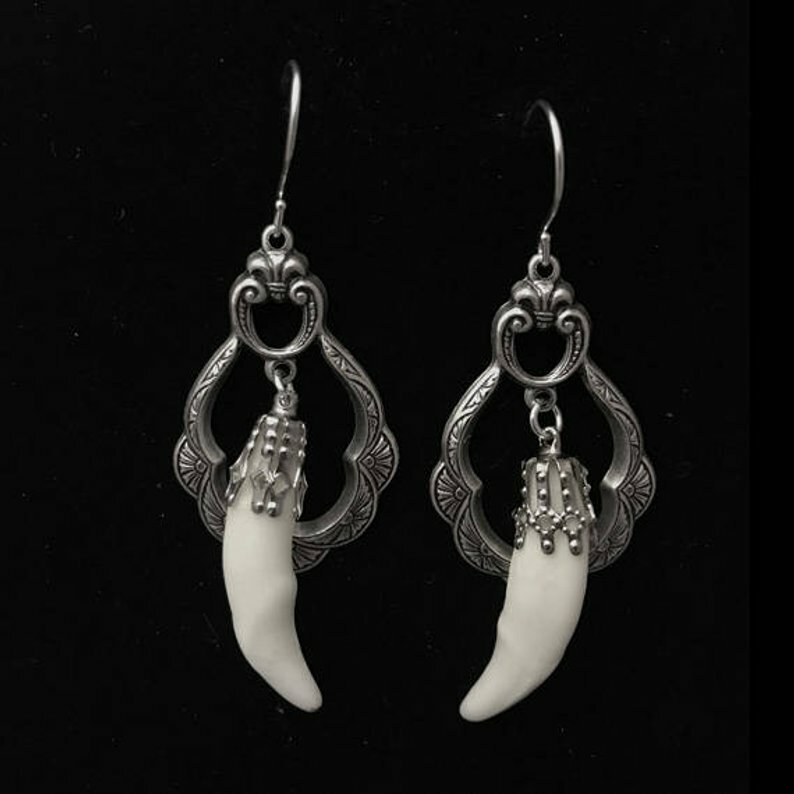 The Lady of the Manners fervently hopes that one of you will buy these, as she needs to stop being tempted by them. 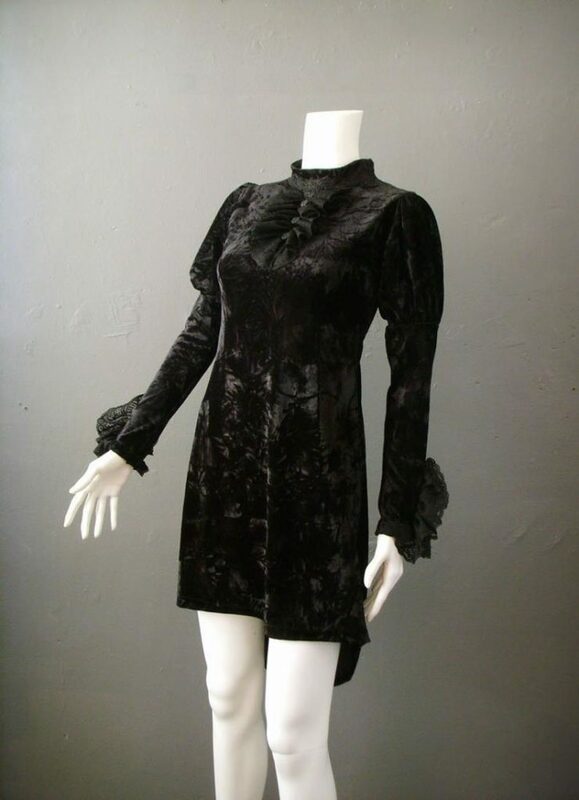 Crushed velvet dress with lace ruffle jabot, from TheLastKult. Oh gracious, how precious is this dress? How perfectly an example of the 90s cute vampire aesthetic, but newly made? The Lady of the Manners is fairly sure that she saw a similar sort of dress in the stores in the 90s, but her memory may be playing tricks on her. 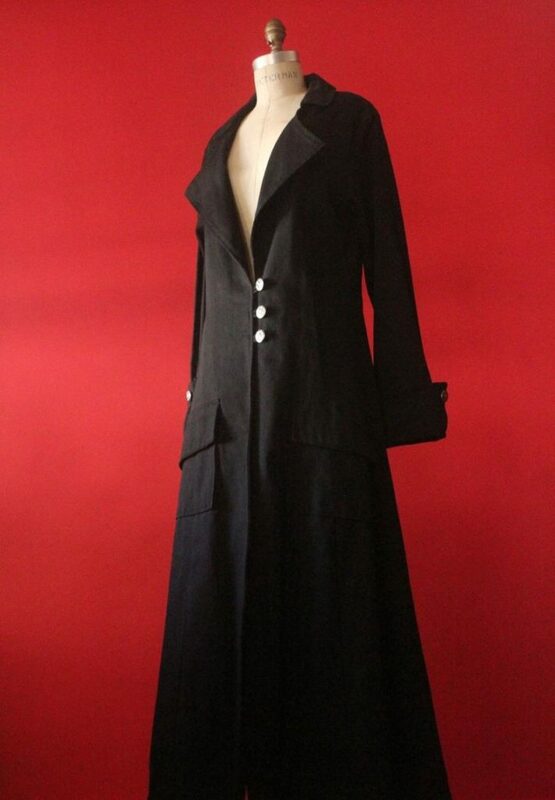 Vintage 90s Goth Long Men’s Vampire Coat from MrMisterVintage. The Lady of the Manners absolutely remembers this item being in the shops (oh hi Hot Topic, but other alternative clothing stores also carried it). She also remembers there was a point in time where it was one of the three possible “standard” wardrobe items for goth guys; the other two being a motorcycle jacket, or a flight jacket if their preferences tended towards the more industrial side of the sonic spectrum. Another item that the Lady of the Manners not only remembers, but owns! If you purchase these, allow the Lady of the Manners give you a word of caution: if these rings are the slightest bit big on your fingers, they will fly off if you gesture expansively, be it in conversation or on the dance floor. And apparently the impact can be a wee bit painful. But don’t let that deter you! They’re a delightful accessory. Just possibly a dangerous one. 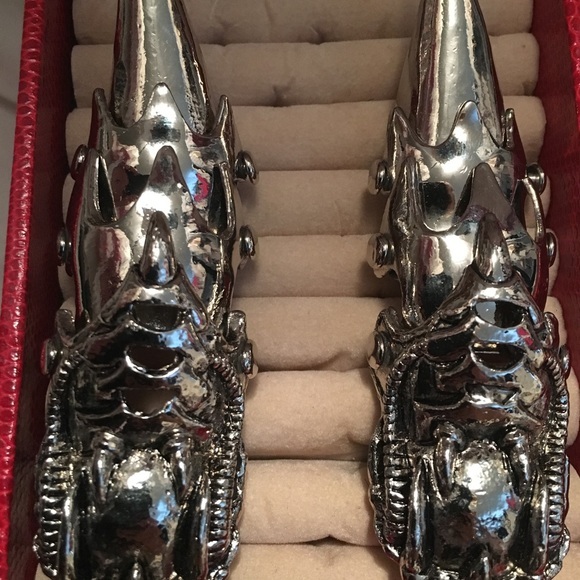 Coyote teeth earrings from NecromanceHollywood. Necromance is a legendary store in the goth world, and for good reason, as it’s full of medical and zoological curiosities, funereal antiques and mourning jewelry, and strange vintage oddities in general. Even though many cities (including the Lady of the Manners’ home base of Seattle!) now have these sorts of emporiums, Necromance was one of the very first. And now they have an Etsy shop! As always, if there’s a particular item or theme you’d like to see the Lady of the Manners help unearth, leave a comment! Help Support Gothic Charm School!